There was a joyous reunion in heaven on August 24, 2017 when Mom passed away surrounded by her children and was reunited with her husband Jim (2015) and her daughter Sheri (2017). Frances Lenora Drake Ostrup was born on January 29, 1931 in Calgary, Alberta. Frankie was the sixth child of Edward Drake and Grace Anderson. Frankie was orphaned at the age of 11 and was sent to Hamiota, Manitoba to live with John E and Alice Riddell, a cousin whom she had never met. Alice and John E were very good to her and Frankie loved them dearly. Missing her brothers and sisters, Frankie eventually left Manitoba and returned to Southern Alberta at age 17. Around this time (1949), she met a young man named Jim at the Taber Stampede, but it wasn't until 1957 that she met Jim again. Jim and Frankie were married on August 23, 1958 in Calgary Alberta. When Frankie finished business college she worked as a secretary. She retired from the ATB in 1992 after 20 years of service. Frankie loved her family and cherished her children and grandchildren. We will miss her dearly. Frankie will always be remembered and honored by her children: Cindy (Jim) Toone; Sheri (deceased) Albert VanNistelrooy; Jimmie (Karen) Ostrup; Glen (Jody) Ostrup; Step daughter Karen (Dave) Lakusta; 11 grandchildren and 12 great grandchildren. Many heartfelt thanks to mom’s care givers at Good Sams in Magrath. 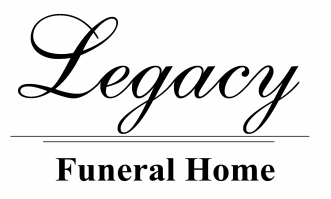 Mom will be laid to rest amongst her family at the Enchant Cemetery at a private burial.